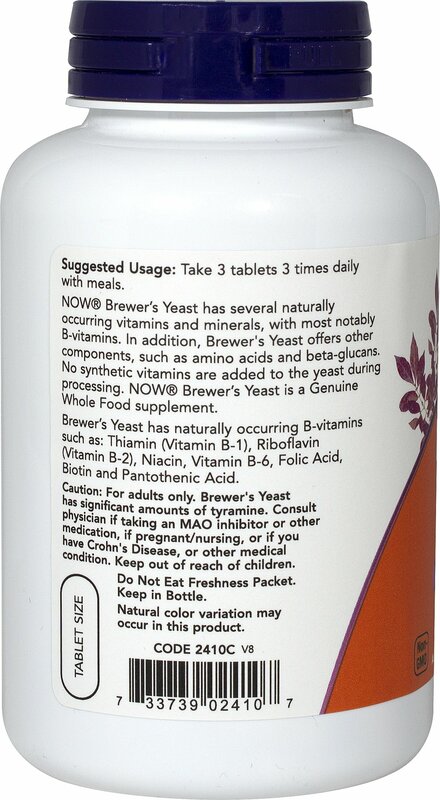 NOW Brewer's Yeast has several naturally occurring vitamins and minerals, with most notably B-Vitamins. 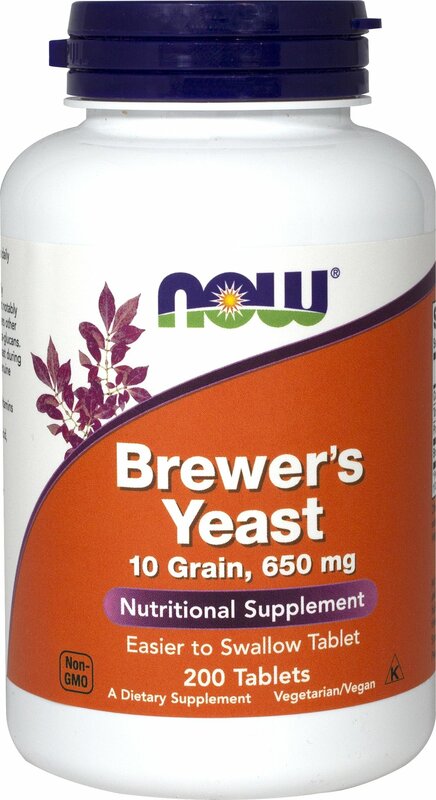 In addition, Brewer's Yeast offers other components, such as amino acids and beta-glucans. 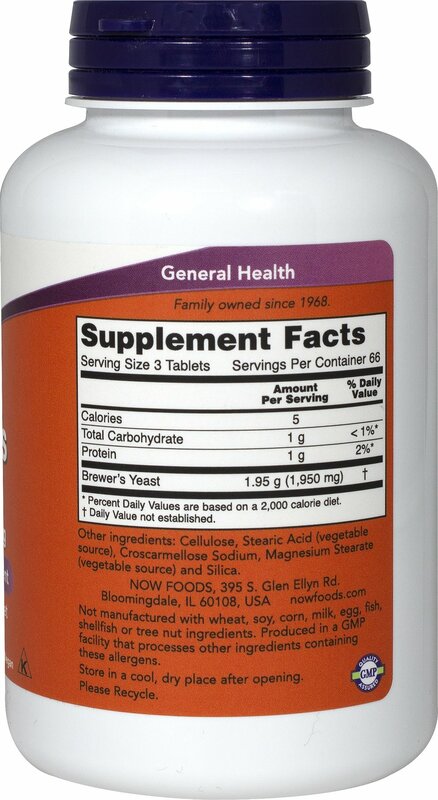 No synthetic vitamins are added to the yeast during processing. NOW Brewer's Yease is a Genuine Whole Food supplement.